Banking is one the important area in BFSI (Banking, Financial Services and Insurance) Domain. Core Banking System automates Banking branch business operations, covers Retail and Corporate Banking Services. ATM (Automatic Teller Machine) Banking System is connected to a network, that offers basic banking functions to users (access to bank account (balance, bank transfers) and retrieval of money etc..). Internet Banking System integrates the various levels of interactions between the bank and its customers and provides the customers of the bank with the necessary interface to avail banking services on Net. Internet banking helps the customer of a bank to access his account from anywhere in the world. It helps the bank to handles the customer requests more efficiently and effectively and saves lot of time for the customer as he can get the information without going to the bank. 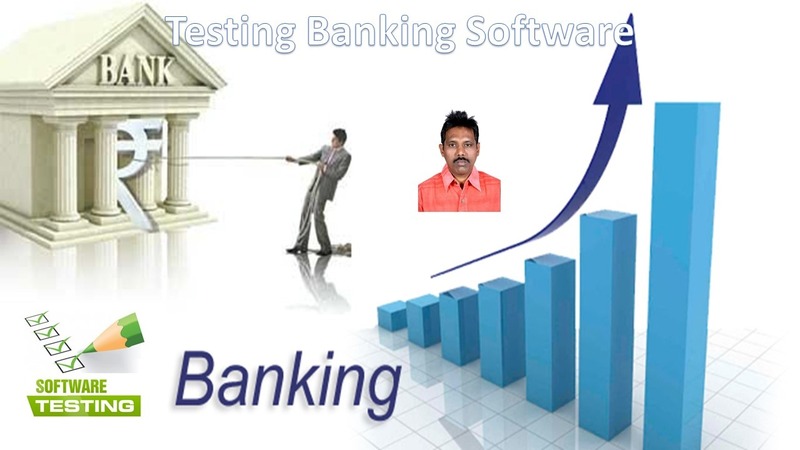 Mobile Banking System is a mobile banking solution. It allows transactions through WAP enabled mobile phones and also using SMS. It helps the customer to access his account from anywhere using the mobile phone. There is no need to have a computer or an internet connection. This will facilitate access to the account even when the customer is traveling or when he is in a location where required facilities are not available. The same transaction can be carried by SMS. Wireless Application Protocol (WAP) technology allows secure, on-line access of web using mobile devices whereas in the case of SMS (short messaging service) technology, there is a time lag in communication. Forex Management System is used to automate the foreign exchange (Forex) operations of bank branch (Category ‘B’ and Category ‘C’). It enables the bank to deal with the complexities of the business of foreign exchange with ease. Treasury Management System provides an efficient Integrated Treasury Management System to a typical bank. This system is seamlessly integrated with Core Banking System. It can be deployed as an independent as well as add-on module with the existing system. Asset Liability Management System is a risk management tool that helps a bank’s management take investment / disinvestment decisions, maintain the required statutory liquidity ratio (SLR), credit reserve ratio (CRR) and other ratios as per Reserve Bank of India (RBI) guidelines. It generates the SLP / IRS / MAP / SIR reports and supports risk management modules like graphical analysis, data analysis and interest rate simulation. • Add a new user, modify or delete an existing user or lock / unlock users. • Linking various categories with a group of users. • Setting user-level permissions to access different options. • Registration of the bank and its branches into the ALM system. • Extracting data from any branch, it is necessary to register the branch. • Data processing after all the required parameters have been set. eSmartBanker is a complete web based and centralised banking solution covering all the functions of a bank. It supports multi currency transactions and all types of delivery channels. The product has been developed using open, industry standard, proven technologies and high quality software engineering methodologies. eSmartBanker is highly parameterised to support constantly changing customer and regulatory requirements. The product truly leverages on Web Technologies and hence is highly optimized for network bandwidth requirements. eSmartBanker is a true web based solution with multi tier architecture and centralised database. It uses state-of-the-art technologies to make it flexible, scalable and most modernised solution. The product is uniquely positioned to compete with global market leaders in core banking solutions. Test Management Services for Trade and Cash Applications. There are 17 applications interacted with each other, where some of them are Payment management systems, Collection Management Systems, Product Processors as well as Cash and Trade related applications .In this Project I have involved with Citi Connect Cash, MyCitibanker, Applications. MyCitibanker is a user Internet application, where in client/internal user will login and initiate extraction of reports, summary, image file etc. Application also caters as a collection of tax returns, cheque payment tracking mechanism and Billing payment mechanism for few Countries (Indonesia and Vietnam) .In MyCitibanker, client logins into the Application form an internet browser, the authentication message of the user id and login is passed on to the CitiLDAP and then to Citi Safe word or Cyota for further validations of user id. Once the user is authenticated he can opt for various options like fetching reports and summary, for which the application will connect to COTS. All the retrieved data and image from various applications is displayed on the browser and has facility to save locally in various forms and formats. It is a web-based application typically used for Collection management processes. It basically enables by bringing buyer & seller to come across a single platform for making their payments against invoice. Buyer able to choose different types of Payments Modes in CitiConnectCash and different Authorization levels are required While Making Payments. Environment : C#.Net, ASP.Net, IIS, Jboss, Oracle and Win2000. Corporate e-banking system is a comprehensive corporate and small business banking solution providing a single unified view of the corporate banking relationships across asset and liability products, limits, trade finance and cash management. Corporate customers of the bank gain the flexibility to view details of each account, capability to make Inter-bank and Intra-bank payments, access to trade finance information and transactions, and the ability to perform cash management activities. This also supports comprehensive authorization workflow, Transaction Limits, Electronic Invoice Presentment and Payment (EIPP) and Corporate Administration. It is also highly secure and provides support for different authentication mechanisms. Technologies used : Java Swing, Oracle 9i. PIM (Product for Information Management for UCO Bank), a partially module for its Manual file management to Computerized information System. Which is capable of handling a large database of various types of accounts like Saving Bank, Current Account, Team Loan Account, Fixed Deposit account having a huge amount of account holder, also its capable of all type of query handling like date wise, month wise and year wise draft details, deposit details, debit details. It’s total information management for UCO bank for any rural branch in Orissa. The objective for this project is to merge both the CL and HMS instance of MortgageServ onto the PL$$ Standard version of MortgageServ. This will allow all loans from both CL and HMS to be in the same VSAM files which will allow flexibility in accessing and processing all loans. Plus it will be a building block to other future directions such as sub-institution transfer, Flamingo to CL and SFO. There are many different types of loans, but at HSBC Mortgage Services we service Schedule-to-Schedule loans, Daily Simple Interest loans (DSI), Home Equity Line of Credit loans (HELOC) and Balloon loans (Interest per amortization schedule). This is regression functionality project. We are mainly handling different functionalities like – Deferred Insurance, Late Charges Bankruptcy, Foreclosure, Payment Posting delinquency and Field Service. Operation and Analytics is a team of Business Analysts at Onsite (Brandon) and Offshore (Pune) who work on resolution of issues raised by users working on MortgageServ system. Operation and Analytics team offshore is an extension of the Business Analysis team at onsite. Whenever users encounter any problem with the MortgageServ system, they report the problem to the MortgageServ support team. This team provides first line of support to the users. Client : Bank of America, U.S. Environment : Java, JSP, Struts, Web logic 7.0, Oracle 9i. The main objective of this project is to manage several events every year for Debt and Equities lines of business. Events range from small onetime events to regular large events with several hundred clients. The client has to register and attend events to view web casts, company home pages and various event collaterals. The Event Planners plan and setup the various events and make them available for clients and maintain event collaterals. 10) Project Name : EOS-ACT- Banking project. Client : Mellon Bank. US. Mellon is One of the Leading banking and Financial service Provider in US. EOS-ACT is an Adjustment and correction tool used to add and Update the Participant, Beneficiaries and Transferees and for that it provides three major search criteria, Participant Search, Grants Search and Transaction search. Then we can Add, Update and Delete the already existing Stock holders (Participant) and their Beneficiaries, Transferees General Information, Mobility Tracking, SSN, TAX, Status and Corporate defined field details. We can manage and associate with the beneficiaries and Transferees to the specific Participant.